New Jersey citizens discuss the dearth of local news in Camden during a forum last year sponsored by Free Press. With $5 million from the state of New Jersey, five universities plan to test a new approach for reversing the decline of local news coverage. The statewide Civic Information Consortium, proposed to help counter the decline of local news coverage in New Jersey, would back ideas such as media-literacy programs, fellowships for young journalists to cover overlooked communities, and apps to offer mobile access to government data. Gov. Phil Murphy is poised to sign legislation to create the consortium by mid-August. The bill that sets the framework for its governance and grant-making activities passed both houses of the legislature July 1. Media reform advocates who built support for the proposal sought $100 million in spectrum auction revenues last year. That proposal didn’t gain traction, so they worked with legislators on a more modest deal. By establishing the consortium as a nonprofit, they’re optimistic that the state’s $5 million will attract additional foundation funding over time. The consortium will issue grants for projects that aim to help reverse the spread of news deserts across the state, particularly in disadvantaged communities. The government-private effort is the first of its kind in the nation. 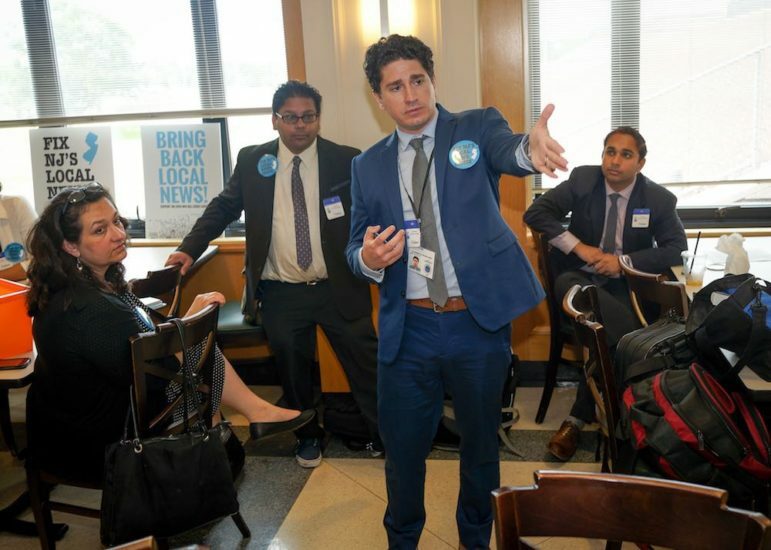 Situated between large media markets in New York City and Philadelphia, New Jersey “always had its own strong history of local print media,” said Mike Rispoli, who directs the News Voices: New Jersey campaign for media advocate Free Press. But that news ecosystem has been in decline since the early 2000s, he said. That’s when waning revenues and ownership changes set off waves of layoffs in newsrooms across New Jersey. By 2016, more than 1,600 local journalists covering the state had lost their jobs, according to the Center for Cooperative Media at Montclair State University. That left 3,880 reporters, correspondents and editors working in the state, according to 2016 New Jersey Department of Labor statistics. Now a lot of communities in the state are “virtually uncovered,” Rispoli said. The situation is especially dire in low-income areas and communities of color. The legislation sets up a 15-member panel with a mixture of participants appointed by the state, as well as from academia and the field of media technology. Grant applicants must partner on a project with one of the five institutions overseeing the collaboration: College of New Jersey, Montclair State University, New Jersey Institute of Technology, Rowan University and Rutgers University. Rispoli is hopeful that the consortium board and staff could be selected and begin soliciting grant ideas next year. Mike Rispoli of Free Press addresses advocates during a lobbying day for the Civic Information Consortium at the state capital in June. Free Press representatives started by determining the depth of the problem. They spoke with citizens across New Jersey about news coverage. They led workshops in newsrooms, began training student journalists and launched storytelling projects focusing on local issues. Hundreds of participants signed petitions circulated by Free Press and posted on Change.org and MoveOn.org. They also lobbied lawmakers to pass the Civic Information Consortium bill. “We were led by the public,” Rispoli said. Meanwhile, the FCC broadcast spectrum auction had generated huge proceeds for the state, which owned licenses to public TV stations WNJN in Montclair and WNJT in Trenton. New Jersey sold spectrum assigned to those stations for $334 million — the largest payout to any public broadcaster. In June 2017, two New Jersey legislators introduced a bill that proposed allocating $100 million of the spectrum proceeds over five years for the Civic Information Consortium. But the state opted to place $322 million into New Jersey’s coffers. Consortium supporters regrouped. “We worked with lawmakers to come up with an ask that would have impact but would still be doable from the state’s perspective,” Rispoli said. The proposal for the consortium to supervise $5 million in grants received broad support on both sides of the aisle, as well as from Gov. Murphy, he said. A key provision of the legislation sets up the consortium as a 501(c)3, said Joseph Amditis, associate director of the Center for Cooperative Media at Montclair State’s School of Communication and Media. “As a nonprofit, it can solicit support to diversify its funding and remain independent,” Amditis said. The center, a grant-funded initiative housed at the university, worked closely with Free Press on the consortium campaign. Going forward, “we will certainly do everything we can to support the mission of the consortium, as well as our partners and other New Jersey news organizations and entities” that will apply for funding, Amditis said. Rispoli described the $5 million as “an initial investment, a way to get up and running.” Although it could receive future funding from the state, the plan calls for the consortium to raise other support as well, he said. Amditis envisions projects that would allow residents to live-stream, record or transcribe a public meeting, he said. Other promising ideas include an “innovative text-message alert system” to ping users when local governing bodies take action, he said. Rispoli said the waning news coverage “is a problem for the civic health of communities.” Studies show that fewer people vote, volunteer and run for public office when local coverage falls off. Conversely, research indicates that people “feel more closely connected to their neighbors” in areas of “robust local news,” he said. 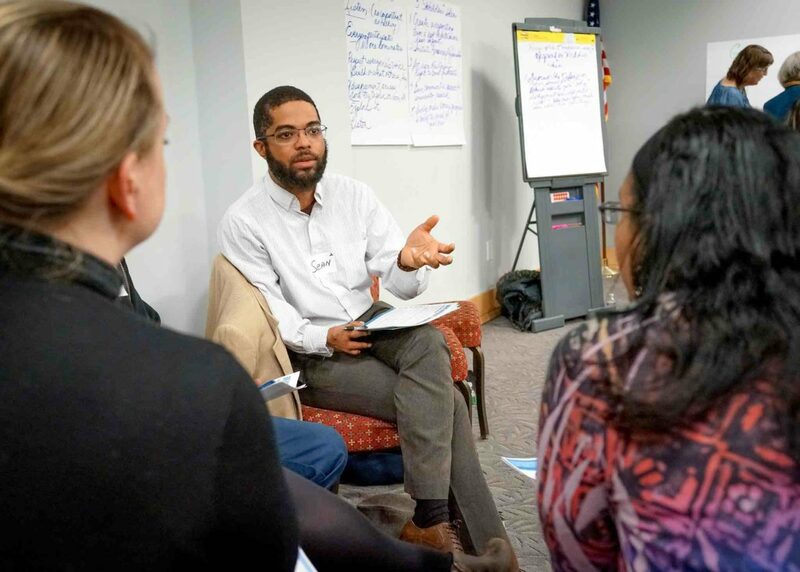 The Center for Cooperative Media, through its NJ Commons outreach, already helps some 250 news organizations and freelancers partner on reporting projects, get professional training and develop new products. Mooney hopes that consortium grants will also go to “the sustainability and business side” of journalism. “We’re all still trying to figure that out,” he said. A “handful” of foundations currently lead the way in philanthropic giving to journalism enterprises, Walter-Brown said. The proceeds for spectrum used by WNJN and WNJT added up to the largest payout to any public broadcaster.